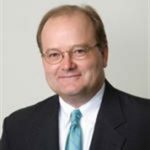 Randy Appleton has over twenty years of injury law experience and has handled injury litigation in Virginia, North Carolina, South Carolina, West Virginia, Georgia, Florida, Maryland, Pennsylvania, Kentucky, and Tennessee during his career. He is recognized as a Virginia "Super Lawyer," a distinction less than 5 percent of practicing attorneys receive in their careers. He also has a 10.0 Superb rating on Avvo and is listed as a "Best Lawyer" for personal injury law by U.S. News & World Report. My colleague and I successfully secured a $21 million guaranteed structured settlement, with a present value of $5.5 million in 2012 for a youngchild and her parents, after she suffered a traumatic brain injury in a car accident caused by a truck driver who smashed in to the family’s car.We established a short term medical needs trust and a long term guaranteed $21 million structured settlement to make sure our client's medical care and financial needs would be met. $3.5 Million settlement for a truck accident victim's only surviving child. Our client was killed after a tractor trailer crashed into his car on I-64 in Norfolk, VA. The truck driver had violated several rules under the Virginia CDL. The other side recognized that they did not have a strong case and therefore offered a sizable settlement that will help the victim's young child now, and in the future. But understand, as mentioned above, past results are not indicative of future results. Even if your situation is factually similar, it does not mean you will definitely get a large verdict or settlement.